Video footage has emerged online that shows an amazing fight between a python and a king cobra in Singapore. 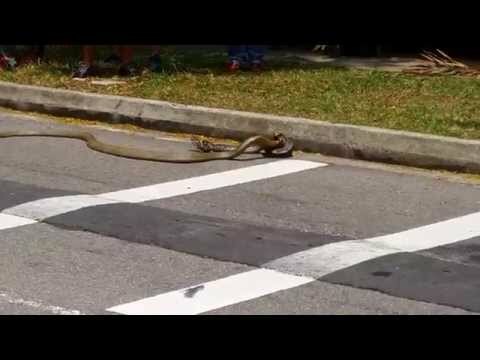 Filmed just outside the nearby college campus, the two snakes battled it out on a busy road for some 30 minutes while a large crowd gathered to watch. Eyewitnesses stated that the python appeared to have the upper hand for much of the fight, with it easily constricting the smaller cobra and crushing it. 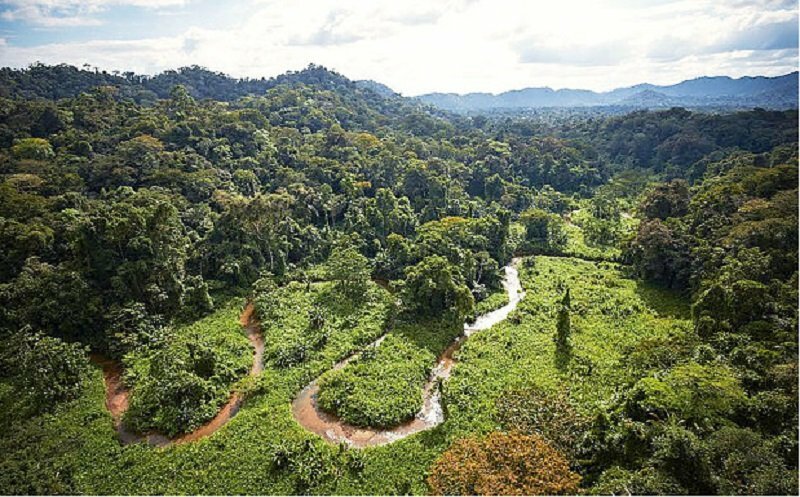 However, the cobra was later able to bite the python and inject it with deadly venom before escaping into the nearby bushes. Experts later captured both reptiles and transported the cobra to a local zoo before releasing the python back into the wild, though they did note that it was unlikely to survive due to the fact that it had been injected with the fast-acting venom. They explained that pythons are common in Singapore and often find their way onto the streets and roads of towns. Cobras, on the other hand, are much rarer and generally tend to stay in the deep jungle where they can avoid human contact. Python finally succumbs to Cobra poison losing out and letting go of it's grip?